Coach Steve Spagnuolo announced Monday that Steven Jackson (quadriceps) is “probably” not going to play in Week 2, leaving Caddy to take the reins against the Giants. Jackson’s injury is to the same quad that has given him trouble in the past; it could be a week-to-week situation. 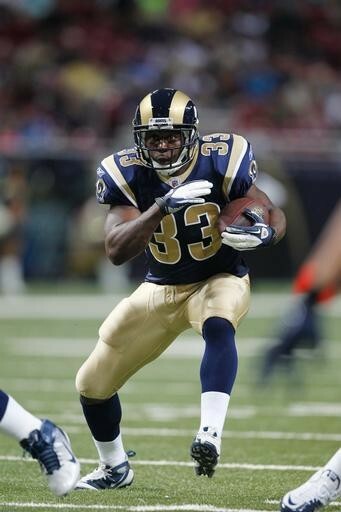 Williams tallied 140 yards on 25 touches as the Rams’ workhorse after Jackson went down early in the opener. Though oft-injured himself, Caddy is coming off a strong preseason at age 29. In standard-scoring leagues, he should carry low-end RB2/flex value into Monday night’s game. In PPR formats, he’s a must start. If you have Steven Jackson, use your waiver to grab Cadillac for week 2. Even if you don’t have Jackson, it might not be a mad move to try for Cadillac to fill a flex position, especially in 12-team leagues. I don’t expect him to be more than a one week play but if you’re a Jackson owner, you might want to hold onto Cadillac for the future.